Have some fun decorating that special cake. 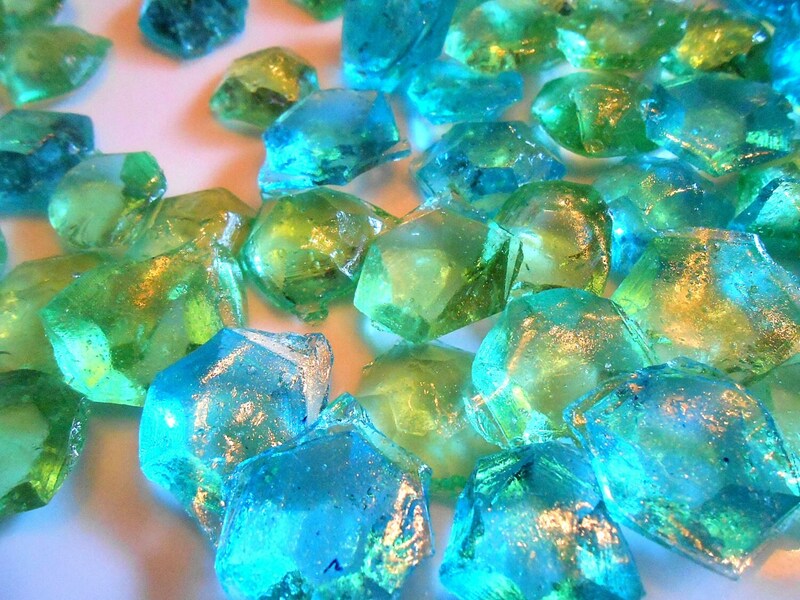 The sugar candy gems will bring smiles to your table - for sure. 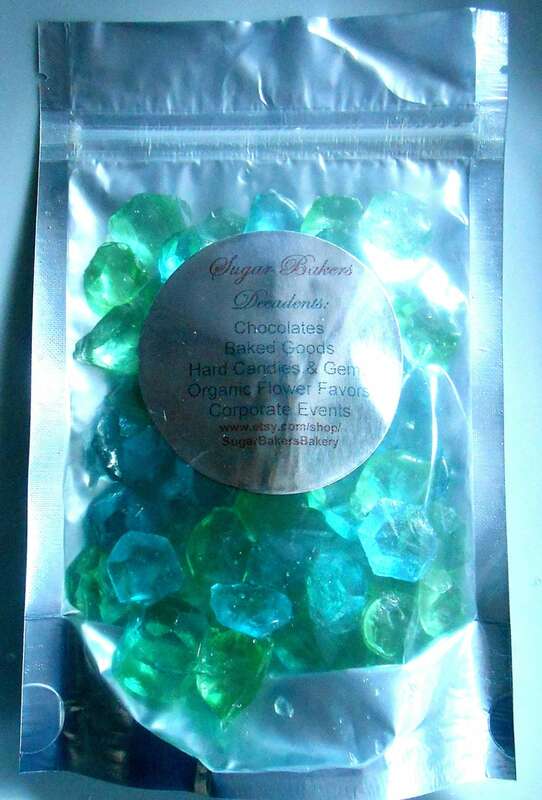 They are made with friendly flavoring (so them don't interfere with the icing flavor). 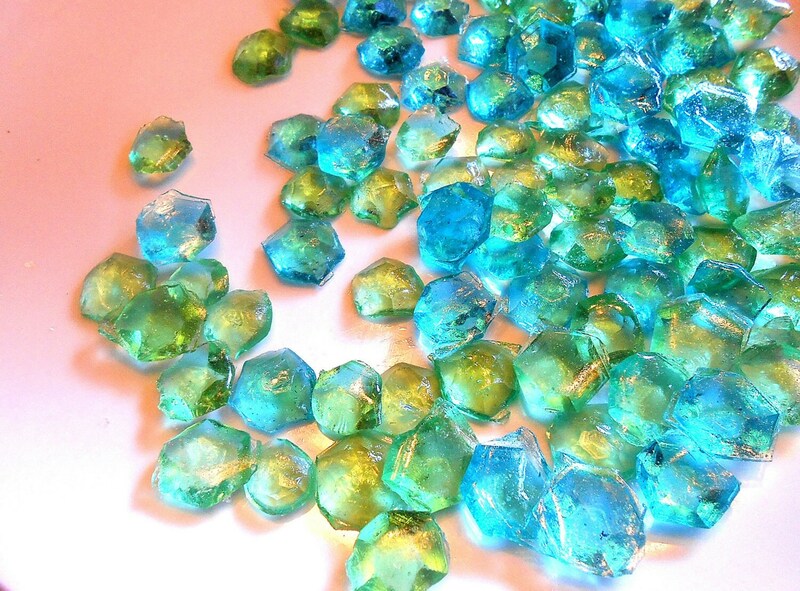 This order is for 2 colors and they are aqua and light green candy gems. tasted great and looked great for our party. 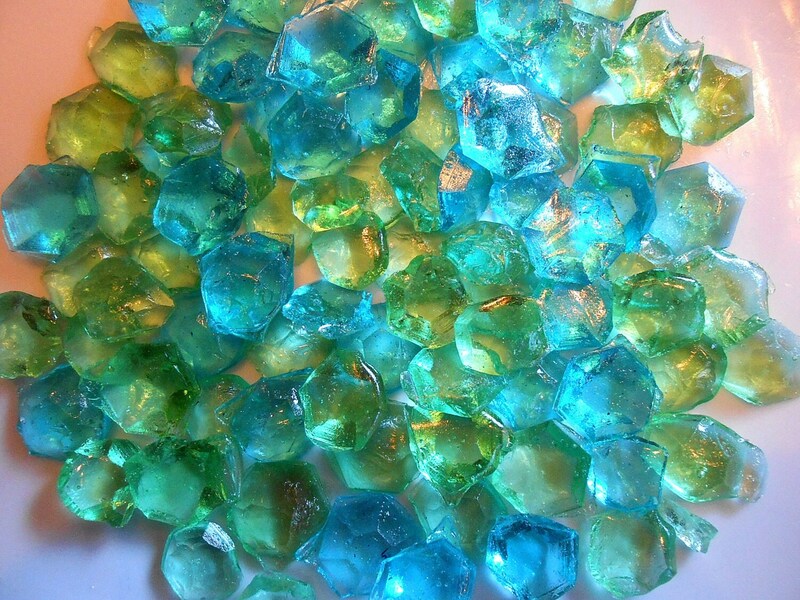 Perfect for our minecraft party--look just like gems. Kids are going to love them.